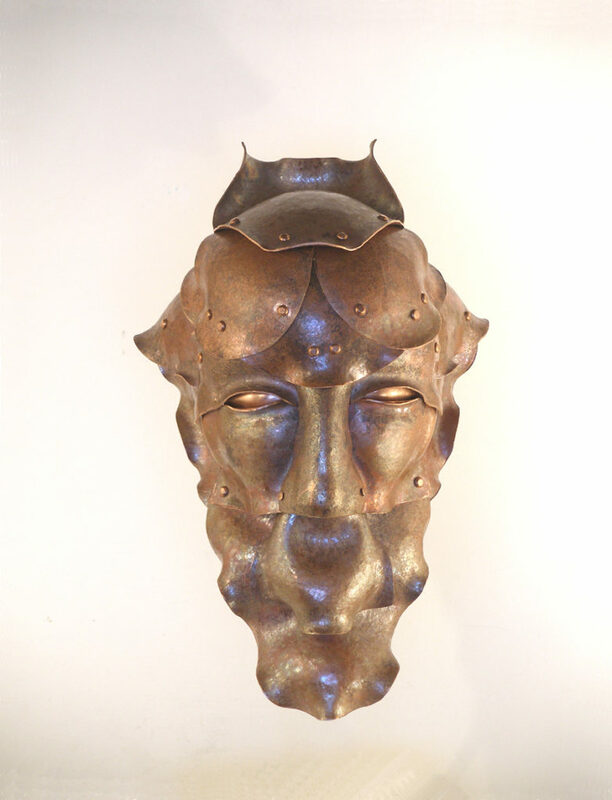 This kind of copper sculpture is the materialization of a fantasy of Claudio Colaone. He magines to be in a desert in Africa or Asia in a plateau or the Middle East or America in a forest or on a plain of Europe and of being plunged headlong into an archaeological dig. And while digging in the dust, the mud and the roots find strange metal objects. 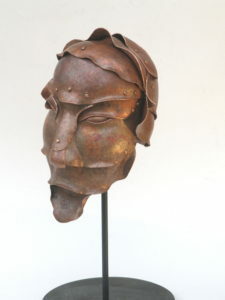 From this fantasy he created this kind of copper sculpture. Sculptures that resemble heads of warriors and queens and mythological animal heads. 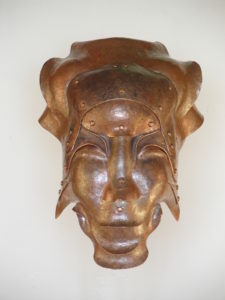 For some of these sculptures in copper has managed to give a name going back to the people depicted while others simply cataloged them by a code. in working and shaping the copper that adapts to the artist’s will satisfy all its aesthetic requirements and fantastic and also all its moods. and you can imagine their future made of dreams and expectations. But the biggest thing that catches the eye is their complete adherence to this. These copper sculptures are truly finds; the finds of worlds that each of us is created in his mind.